Diethood » Home » $100 Amazon Gift Card Giveaway! 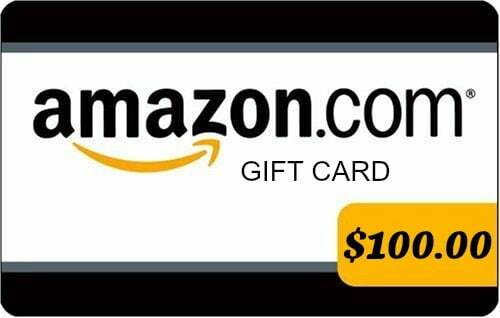 $100 Amazon Gift Card Giveaway – Enter for a chance to win a $100 Amazon Gift Card! Hi Ya, friends!! Happy Thursday! I hope it’s a great one! I also think that it got just a little bit better because you could win a $100 Amazon Gift Card! Knowing my love for online shopping, and YOUR love for the same, I thought this was a great time to hook us up an Amazon Gift Card. Also, those summer vacation expenses are adding up and we could all definitely use a few extra dollars in our pockets to cover the costs. …aaaand for Mom’s new pair of shoes. 😉 Do I hear an Amen? AMEN! always need more amazon gift cards!